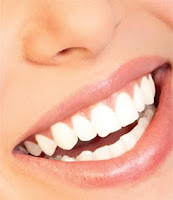 Homemade teeth whitening is less expensive then visiting the dentist for professional teeth whitening. Here is a simple natural homemade teeth whitening recipe. You can add a drop of peppermint oil to add a minty flavor and better taste. Mix the baking soda and hydrogen peroxide together in a small dish. Brush your teeth normally using the mixture. Let sit on your teeth for a few minutes before rinsing. Repeat daily until you notice a brighter, whiter smile. Stay away from tea and coffee as these drinks will stain your teeth fast and reduce teeth whitening effects. 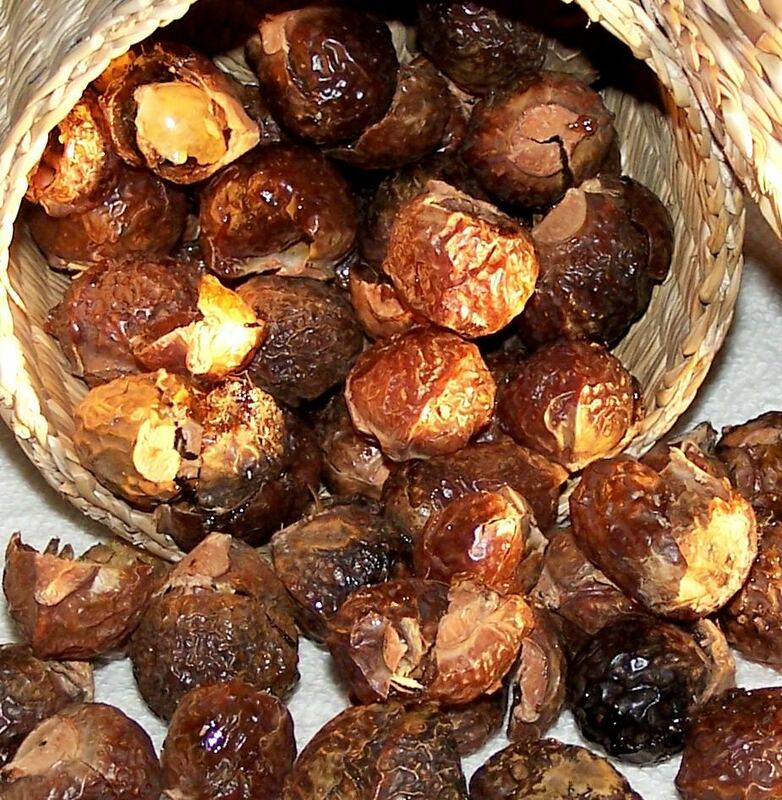 In India and Nepal, there are trees that produce a nut (actually, it’s a berry, but for some reason people call them nuts) with natural cleansing properties. These “Soap Nuts”, as they are called, can be used to make laundry detergent, hand soap and shampoo – all without any harsh chemicals or artificial dyes. Making shampoo from soap nuts is super easy. Grab a handful of soap nuts and toss them in 3 cups of water. Boil for 30 minutes, then let the solution cool. That’s it. Use it as you would shampoo. It’s especially good for individuals with sensitivities to dyes and fragrances. Works as a baby shampoo, too. Be sure to make the solution fresh each time. There are no preservatives in these. But you can get several solutions from the same nuts. You can find soap nuts at Bubble & Bee. These conditioners are for use after shampooing. Apply them to freshly washed, damp hair. Steep 2 bags of green tea in 2 cups of boiling water. After the tea has cooled, remove the tea bags. Pour the green tea through your hair. Let it sit for 3 minutes before rinsing with cool water. Expect your hair to have a faint green tea scent. Mix equal parts of honey and water. Work the mixture through your hair. Rinse with warm water. You may need to rinse your hair twice to remove all of the honey. This conditioner yields hair that is soft and silky. Mash a banana together with a half cup of honey. Apply the mixture to damp hair. Allow it to sit for about half an hour, then rinse your hair thoroughly. Pour a beer through your hair, let it sit for a few minutes, and then rinse it out. The proteins and sugars in the beer will help strengthen the keratin in your hair and give it shine. However, your hair will smell like beer, which can be a definite drawback. Steep 2 mint tea bags or a handful of fresh mint in 2 cups of boiling water. After the water has cooled, remove the tea bags or strain out the mint. Use the mint tea as a refreshing hair rinse. Yogurt – The lactic acid in yogurt is a godsend for frizzy hair. Dry hair can look frizzy and dull and be prone to breakage. Make your own yogurt hair mask by whisking one egg until frothy. Then blend in ½ cup of plain yogurt and 2 tablespoons of olive oil. Apply to damp hair in sections. Leave on for at least 15 minutes then shampoo and condition as usual. The lactic acid in yogurt will smooth and hydrate your strands. Combine ingredients and apply to hair, focusing on the ends. Cover your hair with the paste and seal in your body heat with plastic wrap. Leave on for at least 10 minutes or as long as you like, then wash with a mild cleanser i.e. soap nut & rinse.” Your hair will be shiny for days! Warm the oil to 100-105 degrees in a double boiler. If using, add herbs and essential oils. Dampen hair. For long or thick hair, use 1-2 teaspoons of the oil mixture, and for fine or short hair, use 1/4 teaspoon of the mixture. Massage oil into the scalp and work through the strands, covering all hair completely. Cover hair with a shower cap or plastic bag and if possible sit in the sun or by the woodstove. Heat facilitates the process. Leave the oil in for an hour or two, and then, shampoo and rinse. Vinegar rinses relieve itchy scalp, dandruff, and dull hair and restore the scalp’s natural acid mantle. They are best for normal and oily hair, rather than dry. Use white vinegar for blondes, apple cider vinegar for brunettes, and red wine vinegar for red-heads. Leave the rinse on for at least five minutes if you are going to rinse it out. You can, however, leave it on and any smell will disappear once the hair is dry. A few drops of essential oil/ other herbs as lavender, sage, rosemary, etc. 1. Fill a quart jar half way with herbs. Cover with vinegar and cap tightly. Place the jar in a warm spot for 2-3 weeks, shaking daily. 2. Strain the vinegar and add essential oils. Store in a plastic bottle. 3. Dilute the rinse with distilled water. For oily hair, dilute one part rinse with four parts water. For dry hair, dilute one part rinse with six parts water. After shampooing and rinsing, pour vinegar rinse slowly over hair, massaging it into the scalp. Rinse with water. If any of the above sound good to you, then read this recipe below. You will be blown away by how great it treats your hair. So, here it is…. Add the flaxseeds to a pan of water over high heat, stirring occasionally. Stir continuously and gently when the mixture starts to boil. Reduce the heat when the mixture turns thin and, foamy. Add honey and any essential oils such as ylang ylang or lavender, if you desire. I used orange blossom oil and it didn’t have the frangrance of a strong orange, but a more faint orange citrus, clean frangrance. I love it. At this point, add the olive oil or shea butter. Combine everything. Your gel should be about the consistency of thick egg whites. Pour the mixture into a container. Your gel is now ready to use. You can store in the refrigerator to make your mixture last longer, or you can leave it out and make sure you use it up in about a week or two. Aren’t you proud of yourself? Congratulations, you just made your own hair gel and saved money, have a better natural product and you did it yourself. Helpful Hint: I did not use whole flaxseeds, but I used the ones that had been milled and it worked just fine. Just make sure to strain it with something like old pantyhose or something similar to ensure all the particles are strained and not swimming around in your wonderful gel. Wow, baking soda is good for everything it seems like! Shampoo? How crazy, yet super awesome! you are awesome 🙂 have you personally tried all these ideas? I love using soap berry shampoo. I have used it for quite a while now and love it. I was just working on a post about that very subject. Great minds think alike. just wondered how it would work with dry graying hair…..menopause has NOT been kind to the mane…..in fact, it feels more like a horse TAIL! pour into a bowl using a fine mesh strainer, using a spatula or spoon to squeeze out the remaining gel and into the bowl. let sit for about a minute and then pour into whatever jar you plan on keeping the gel in. If you add EO add it after the seeds are strained but while the gel is still fairly hot. Save the seeds to use a second time or dispose of them as you see fit. Hi! Would you be willing to share what herbs (and how much!) you are adding to the apple cider vinegar rinse, please? I have been using the ACV and water mix to rinse my hair after shampooing with a homemade coconut milk shampoo, but my hair ends up being SO DRY and almost brittle. I’d love to know what you are doing to avoid this! Thanks for the tips! Arm and hammer baking Soda does not contain aluminium. It’s just pure baking soda.i emailed the company to verify. But baking powder is a different story. Nice article and shared good information for taking care ourselves. We are what we eat. If you do not consume enough vitamins on a daily basis, sooner or later your body will ask for them in its own way. Skin, hair and nails are the basic ‘indicators’ of your overall health. Therefore, in case something is wrong with any of these three, you should look for a reason inside. I was very anxious with my hairloss, which used to happen each year in autumn-winter time. I started using external remedies, but in best case they were giving just a temporary effect. Then I have consulted a trichologist. He advised me to revise my nutrition and pointed the products which are especially needed for healthy hair. Besides, he recommended the natural nutritional supplement – Hair Gain Formula by Military Grade – which was supposed to enhance healthy hair growth. I must say, that following his advices during a year, I noticed that my hair became much thicker near the roots, which means that new hair is growing. Moreover, my hairdresser told me that my hair became more shiny and healthy.